Earlier this year, a filmmaker filed a lawsuit against the creators of Netflix's hit series, Stranger Things, claiming that the Duffer Brothers reportedly stole the show's concept. As TMZ reports, the lawsuit has since been revised, with Charlie Kessler only now seeking “monetary damages for the value of his idea used,” rather than the original intent to stop the production of it indefinitely. The reasoning behind the writer amending the lawsuit, per the report, is due to Kessler receiving threats from fans. The report didn't elaborate what kind of threats fans are making towards Kessler, but they are bad enough that the writer has decided to drop his original demand of shutting the production of the show down. 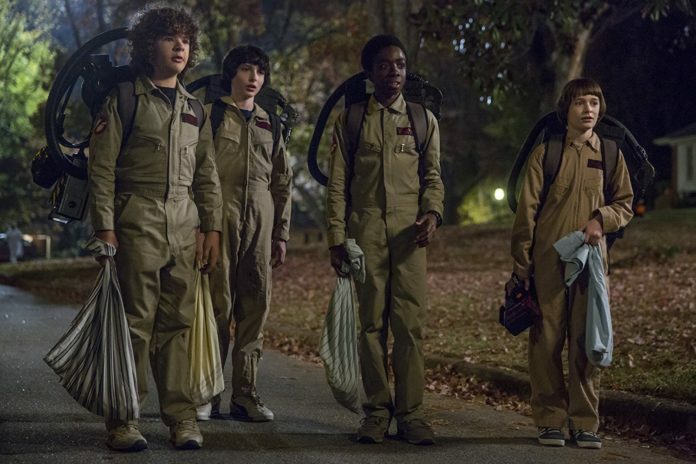 As previously reported, Kessler filed a lawsuit, claiming the Duffer brothers ripped the plot of Stranger Things from his short film Montauk, which premiered in 2012 and involved “top secret government experiments,” which is a similar tale to the plot of Stranger Things. Kessler told TMZ that he and his agents pitched the concept to the Duffer Brothers in April 2014 “as a full-blown series,” but the Duffer brothers had not contacted him to pursue the idea any further. He then shared that he was “shocked” when Stranger Things debuted in July 2016 and claim the brothers used his “script, idea, story and film” to make the hit show.